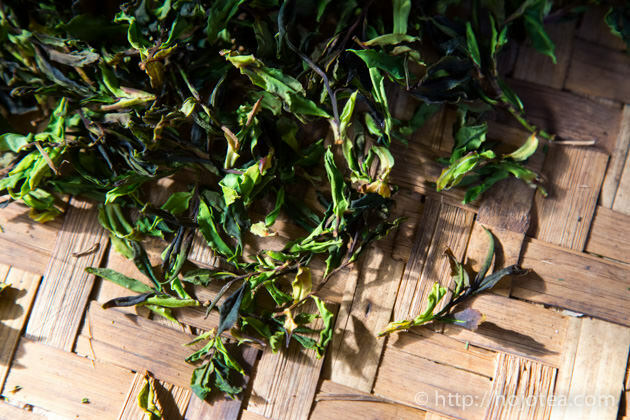 We have been producing white tea using the wild tea grown in Da Xue Shan. Last year we introduced this tea. But due to extremely limited quantity, it was sold out in a few days. 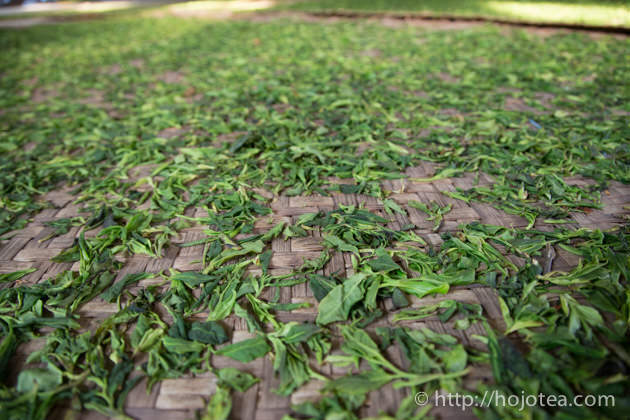 This year, we physically involved in this tea production and worked very hard to produce more quantity. 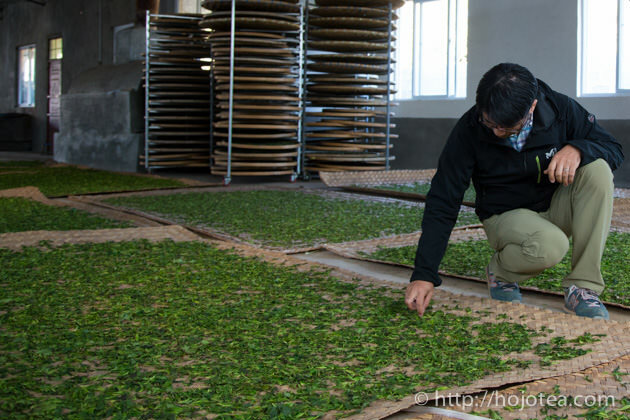 We also studied a lot of technical parameters and trying to improve the quality. 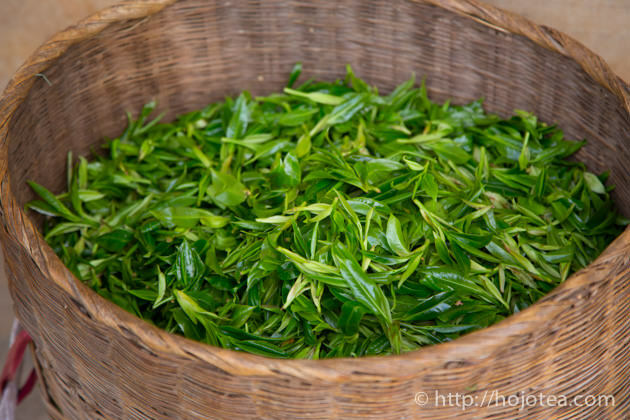 The fresh tealeaf is collected from the wild tea tree, Camelia taliensis that grown in Da Xue Shan. In Chinese, Da Xue Shan means Great Snow Mountain. 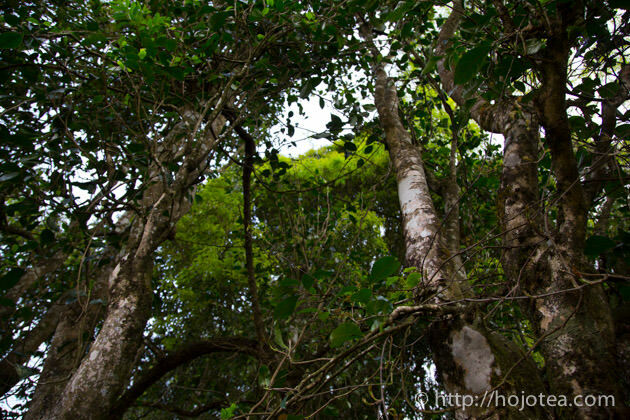 Camelia taliensis is the tea species closely related to Camelia sinensis. 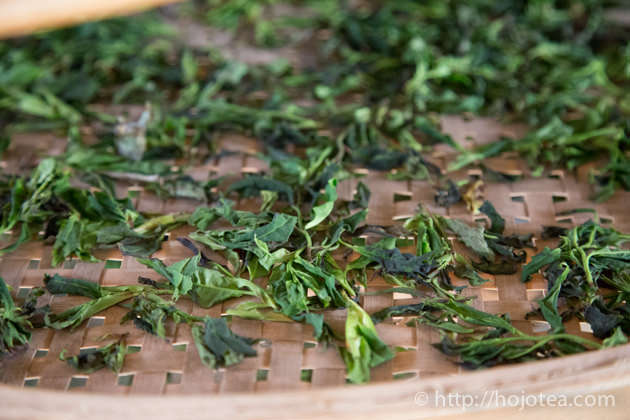 Since more than a few hundred years ago, the wild tea was processed and drunk by local farmers in the mountains. 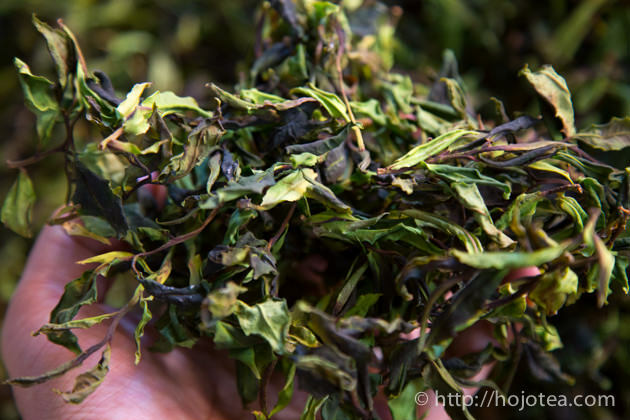 Since 10-15 years ago, this tea was being introduced to outside and it became famous rapidly. 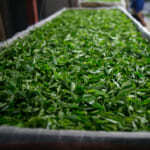 Nowadays, this tea becomes one of the income resources for a farmer who lives in the remote village by the mountain. 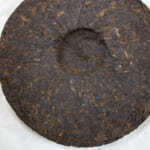 Recently the wild tea is processed into not only pu-erh tea but also into black tea. 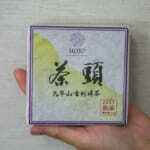 Nevertheless, it is very rare that this tea is processed into white tea. Last year, this tea was made of small tea buds. It definitely looked very lovely and attractive. 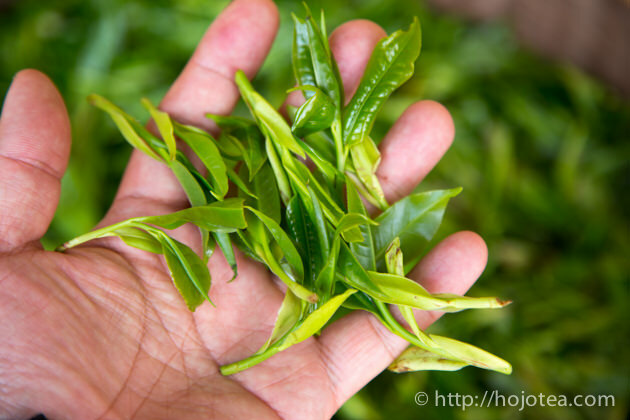 The small tea bud gives very mellow mouth feel. 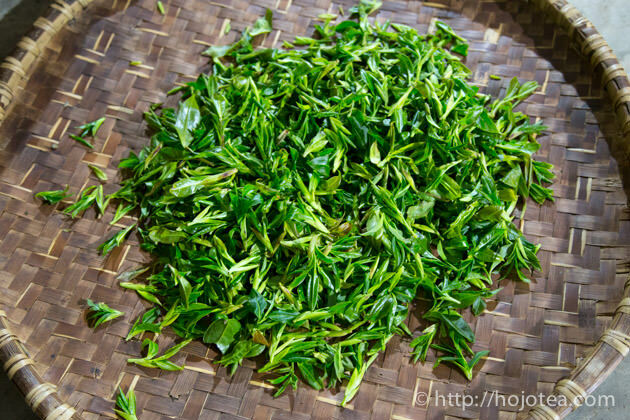 However, I wanted to make this tea more complex in flavor and rich in taste. 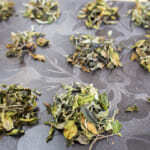 So we decided to collect more grown-up tealeaf that consists of 1 bud and 3-4 leaves. 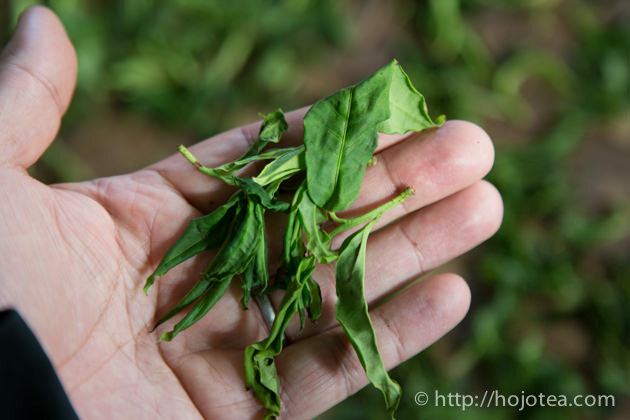 The leaves are richer in poly phenol and it contributes a lot to tea flavor, particularly when tea is kept for some time. 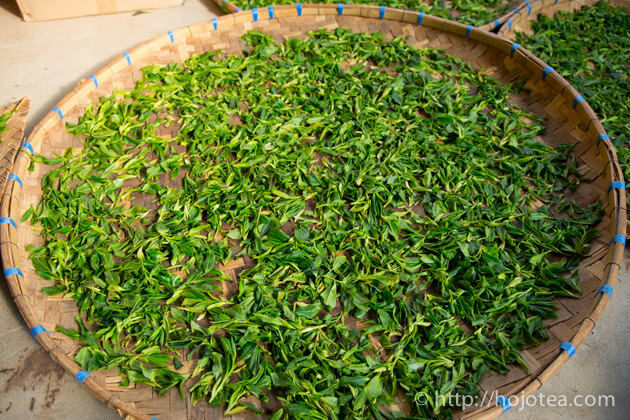 Since this tea is very rare and less common in tea market, there are many uncertainties about the processing. 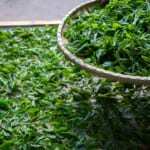 For example, we are not clear about the optimum withering time and whether or not we should ventilate the tea during withering. Fortunately, we came to Yunnan very early this year. We have sufficient time to carry out many experiments to confirm the necessary parameter one by one. We set the parameter for each process, and directly involve in production work to monitor the outcome of each parameter. 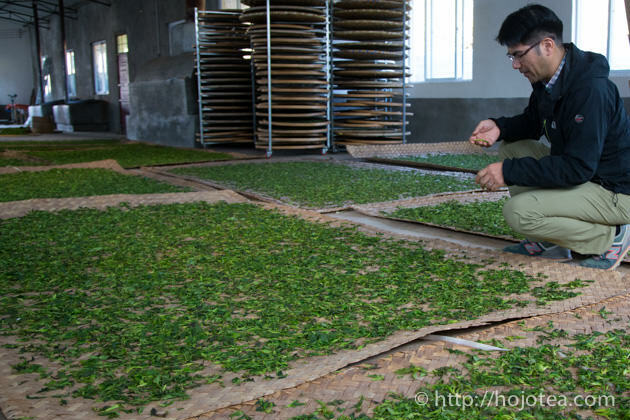 The tea manufacturer was actively cooperated to let us use his facility and give us a freedom to arrange the process. 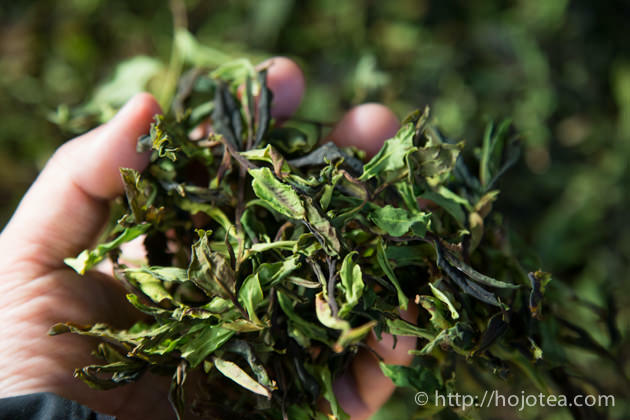 The making of white tea involves withering process. The withering and drying with natural wind sounds similar. But in tea making, these are different. 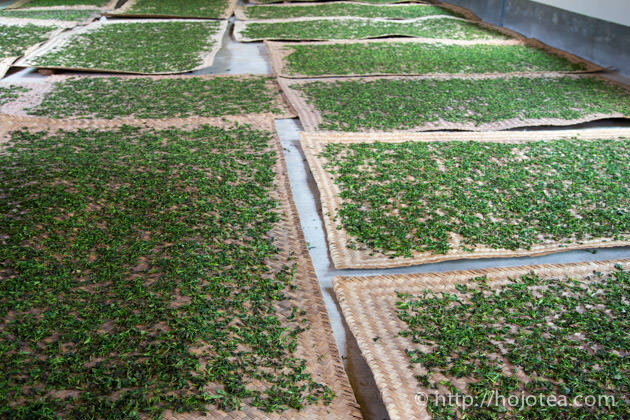 Withering means slowly reducing moisture and trigger the fermentation by the dehydration stress. 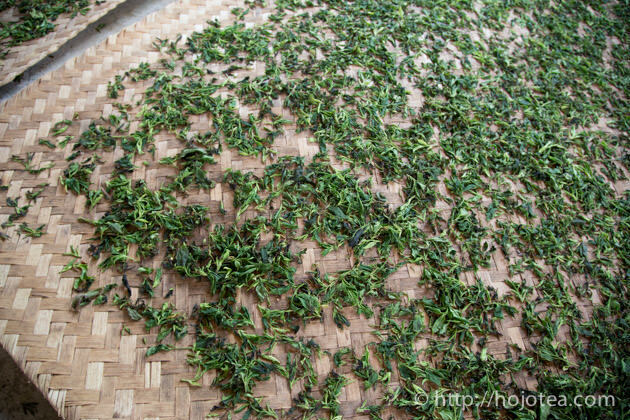 If the ventilation is too intense, tea will get dried before it is withered. 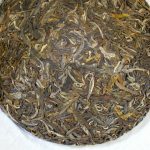 On the contrary, if there is no ventilation and the humidity of environment is too high, tea will be over fermented and caused stale flavor. This effect is just like the wet clothes being hanged in a room with no ventilation. So it is very crucial to control the humidity and ventilation of withering room, and the duration of withering process. 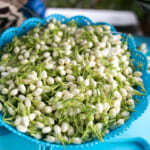 We conducted withering for three days in order to bring out the floral and clean flavor. We have just completed the process this week. 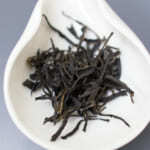 We are planning to release the loose tea on pre-booking basis. 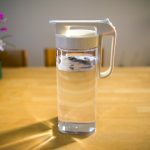 We will announce it once the product is sorted and ready for export from China.